Here are a few images from framing. This is week 6 of framing and week 10 from breaking ground. 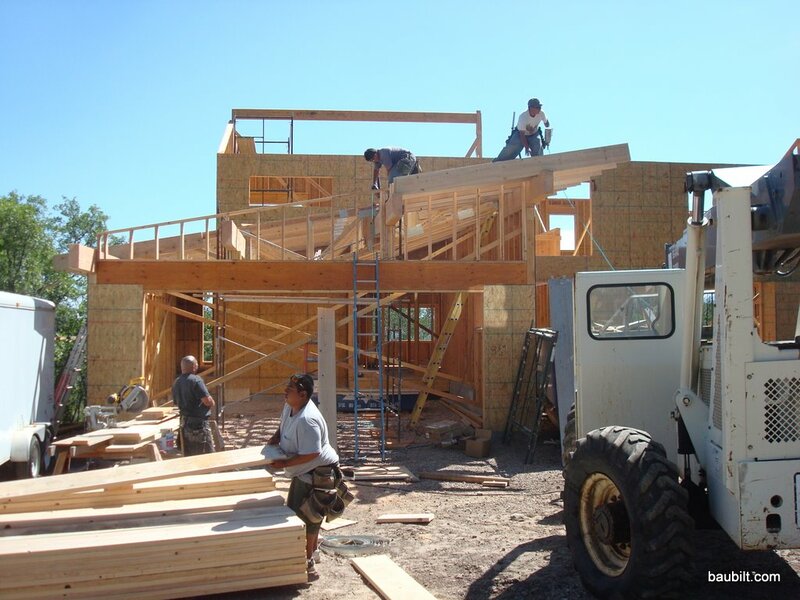 We hope to have the roof on next week and the framing completed the following week. Framing the garage. 6x14 purlins extend out the front to support the rafters.